GAVIN LEE recently finished playing The Grinch in Dr Seuss’ How The Grinch Stole Christmas at Madison Square Garden. Just before this he originated the Squidward Q Tentacles in SpongeBob SquarePants, the Broadway Musical for which he received a Tony Award nomination and won the Drama Desk Award. He also played Thenadier in the most recent Broadway revival of Les Miserables. He originated the role of Bert in the West End and Broadway productions of Mary Poppins for which he was Olivier and Tony Award nominated as well as winning a Drama Desk and Theatre World Award. While in NYC Gavin has appeared at Carnegie Hall in Show Boat and in the World Premier of Holiday Inn at Goodspeed Opera House. On TV, he has guest starred in “Law and Order: SVU” and “The Good Wife”. He was seen as a regular in the final season of “White Collar”. His other London credits include leading roles in Top Hat, Crazy for You, Peggy Sue Got Married, Me and My Girl, Over My Shoulder, Oklahoma! and Contact. His regional theatre credits include Singin’ In The Rain, Snoopy, Noel Coward’s Masterpieces, Of Thee I Sing, Saturday Night, Alan Ayckbourn’s Whenever and Chicago. Gavin has performed his solo cabaret in New York, Chicago and on Disney Cruises. TELLY LEUNG is New York City native. 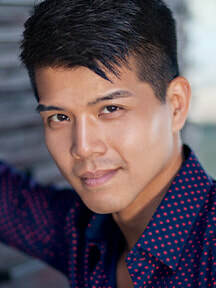 His Broadway & national touring credits include Aladdin in Disney's Aladdin, In Transit, Allegiance (with George Takei & Lea Salonga), Godspell, RENT (final Broadway company), Wicked (Boq, original Chicago company), Pacific Overtures, Flower Drum Song. In 2010, he starred as Angel in RENT at the Hollywood Bowl opposite Wayne Brady, directed by Neil Patrick Harris. Television audiences will remember him as Wes the Warbler on “Glee", as well as his guest star appearances on "Instinct", “Odd Mom Out,” “Deadbeat” and “Law and Order: Criminal Intent.” Telly is featured on many original Broadway cast recordings and he has released two solo albums – “I’ll Cover You” (2012) and “Songs for You” (2016) on The Yellow Sound Label. BFA Carnegie Mellon University. 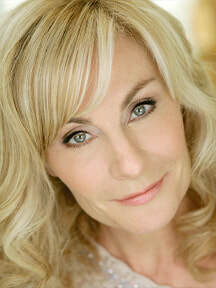 JUDY McLANE starred in over in over 4000 performances as Donna Sheridan and Tanya in the Broadway company of Mamma Mia! making her the longest running lead in the show’s history. Judy received critical acclaim creating the role of Vienna in the Off-Broadway production of Johnny Guitar garnering a Drama Desk Nomination and a Drama League Award for Distinguished Performance in the Theater. Other Broadway credits include Broadway in Kiss of the Spider Woman performing duets with the legendary Chita Rivera, Aspects of Love with John Cullum, and Chess. She created the role of Lillian in the two person musical and World Premiere of Los Otros by Michael John LaChiusa at the Everyman Theatre. Her National and International Tours include the Baker's Wife in Into the Woods, the Narrator in Joseph and the Amazing Technicolor Dreamcoat with Donny Osmond, Mrs. Baskin in Big, and Side By Side By Sondheim directed by Rob Marshall. Favorite roles include: Maria Callas in Master Class (Theatre Raleigh), Diana in Next to Normal (Syracuse Stage SALT Award, Riverside Theatre, Pioneer Theatre),Margaret in Light in the Piazza (Raleigh Theatre, Broadway World Award) Phyllis in Follies (Signature Theatre, Helen Hayes nomination), Eva Peron in Evita, the title character in Victor/Victoria, Aldonza in Man of La Mancha, Luisa in Nine, Nancy in Oliver!, Florence in Chess, Lily in Dr. Jekyll and Mr. Hyde (Paper Mill Playhouse), Fiona in Brigadoon, Milly in Seven Brides for Seven Brothers (St. Louis MUNY), Mrs. Walker in The Who’s Tommy, Rebecca in Rags (American Musical Theater of San Jose), Mary Magdalene in Jesus Christ Superstar (Sacramento Music Circus), and Ann in 1940's Radio Hour (Repertory Theater of St. Louis), Isabella in Wuthering Heights (Olney Playhouse), and Lucy in Wildhorn's Jekyll & Hyde (Casa Manana). 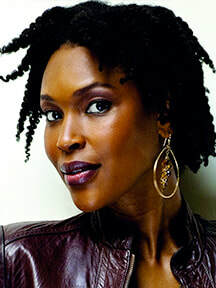 As a worldwide concert and cabaret artist, she has performed as a soloist with countless symphony orchestras including the Bolshoi Orchestra in Moscow, the National Orchestra of Lyon, France, National Symphony of Canada, National Symphony Orchestra, Baltimore, Buffalo, Cincinnati, Dallas, Detroit, Ft. Worth, Indianapolis, Memphis, Milwaukee, Naples, Oklahoma City, Oregon, Pittsburgh, Seattle, St. Louis, Southwest Florida,Toronto, and Chuatauqua Symphony Orchestras and Chess in Concert at Carnegie Hall, among many others. Film: Donna in the cult classic film, “Were the World Mine” and Val in “Hiding in Daylight” (2019 release date). TV: “Madame Secretary” “Elementary,” “The Blacklist,” “Guiding Light” and “Another World.” Judy can be heard on the recordings of Johnny Guitar and Sundance the Musical. She started her professional career here at Theatre-by-the-Sea during the Tommy Brent era. WADE PRESTON began his Broadway career as the Alternate before taking over the role of “Piano Man” in Billy Joel’s hit Movin’ Out. He played the role for the show’s entire 3 ½ year run, and starred on and off in the production’s National Tours for the next few years. He still fronts concerts with the Movin’ Out Band™. Wade did virtually all the rehearsals and sound checks for Joel for his historic ™ “Last Play at Shea” performances, job description "Stunt Billy." Prior to Movin’ Out, Wade was well known on the west coast as the preeminent boogie pianist, revered for his rollicking performances, stunning technical abilities and spirited versatile singing. Besides recording sessions, master classes, and the occasional Movin’ Out Band™ concert, Wade is currently focused on his solo concerts. KISSY SIMMONS was last seen on Broadway in The Lion King playing the role of Nala for nine years (which makes her the longest running Nala ever!). She is a native Floridian, attended the University of South Florida on a Track and Field scholarship. She grew up playing the keyboard and singing in church. Before moving to NYC, she had a successful modeling career and played numerous roles in theatrical performances in the Tamp Bay area. Ms. Simmons has appeared in several national commercials, print ads and voiceovers. TV/Film credits include “Smash”. “30 Rock”, “Hope & Faith” and “Six Degrees of Separation” to name a few. She currently appears around the world as a special guest vocalist in concerts produced by Disney on land and sea. 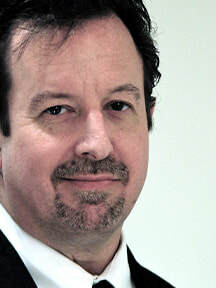 JON BALCORT is pleased to return having appeared here in last year’s edition of A Broadway Celebration. He is a NYC-based composer, music director, and orchestrator. Broadway: Dear Evan Hansen, The Book of Mormon. National Tours: The Book of Mormon, Avenue Q, Dreamgirls, How the Grinch Stole Christmas. Regional: Legally Blonde (MUNY), Disney's The Little Mermaid (MUNY), RENT (John W. Engeman Theatre), The Hidden Sky (Prospect Theater). Orchestrations and arrangements: What We Do For Love (dir. Hinton Battle), Iron Curtain (Prospect Theater, and Seattle's Village Theater) The Night Before/The Morning After (NY Fringe Festival), Prest-o Changeo (Barringon Stage, 2016), and The Clown Parade (currently available on iTunes).